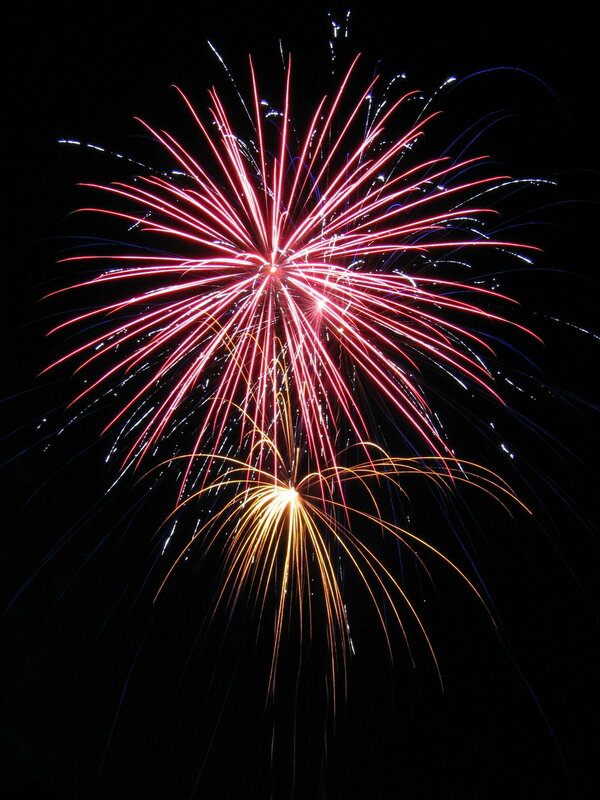 Denver Metro 2014 4th of July Fireworks Displays and Events! Happy 2014 4th of July! Check Out the Fireworks and Events Around Denver Metro! It’s now time for this year’s 4th of July celebration! Events and fireworks displays are happening all over town. From the Denver Coors Field fireworks display, to the Fiddler’s Green Independence Day Strikes Back celebration, up to Broomfield Fourth of July celebration everyone will have plenty of places and events to attend this Independence Day! If you’re looking to just spend some time with family and friends in a fun backyard BBQ just remember some friendly tips for this year’s holiday! Most fireworks in Colorado are banned unfortunately. Always check which ones are permitted for your area to prevent any nasty citations. If you can’t have your own, there’s plenty of public displays! Make sure you keep an eye on the kids and pets! Fireworks can be a bit dangerous and no one wants a blown or burned finger! 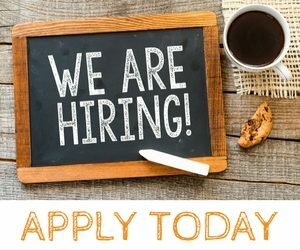 Watch out for duds! Best practice would be to just let it sit for about 20 minutes then drop in a bucket of water… those things can still explode! Sparklers are fun! But be careful, they can still burn! Keep water or an extinguisher nearby. And finally, for when the kids are asleep or with the babysitter and you want to grab a few drinks… make sure to have a DD! Sounds silly but the police are more diligent this night for public safety. 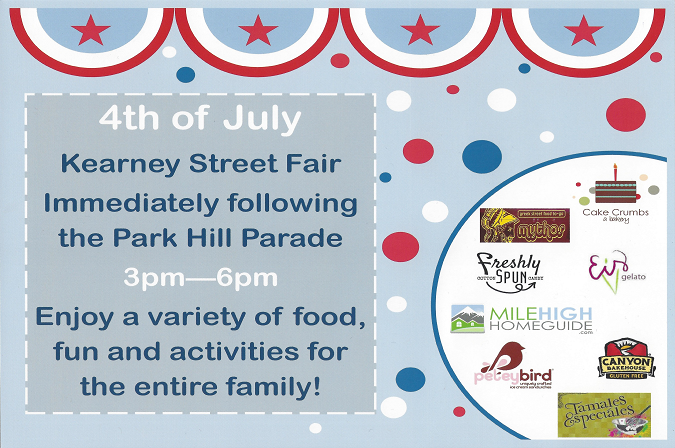 And for those who want to partake in the 4th of July festivities around the Denver Metro area here is the information for the Park Hill Parade and Kearney Street Fair we are sponsoring on July 4th from 1:30 PM to 6 PM. And then some more of the main events happening the week of the 4th. Have fun and enjoy the holiday! Trouble viewing on a mobile device? Download Google Maps Engine (By Google). Then click here to open the map in that. Unfortunately we cannot seem to find a similar product for Apple devices yet.